Consumers are estimated to spend over $135 billion dollars on video games in 2018. Over half of this 12-figure industry is expected to be spent on mobile gaming. This is a gigantic market that is seemingly under-developed in patented technology. Developers have been hesitant to patent video games, as they are constantly developing faster than the patent system can offer protection. By the time a patent is actually granted, a 3-year old innovation may already be anachronistic. However, eventually video games will reach a developmental peak and patents will assist video game developers in protecting a variety of different methods related to game profitability. For example, new ways of setting up micro-transactions, methods of video game release, or mechanics of the game itself can be patented. As luck will have it, this developmental peak may also coincide with the decision in Alice Corp. v. CLS Bank International, 573 U.S. 208, 134 S. Ct. 2347 (2014), slowly being reeled back, as more software patents continue to be allowed. Games have been patented throughout US patent history. Notably, monopoly was patented (as the landlord’s game) in 1904 as US 2,026,082. More recently Wizards of the Coast Inc. patented a method of playing their trading card game Magic: The Gathering (MtG) as US 5,662,332. MtG has remained popular despite the expiration of its patent. It is likely the ability to exclude others from making another similar card game certainly played a part in allowing the game to flourish without competitors. Nevertheless, by 2003, the Pokemon Trading Card game was immensely popular, and the MtG patent was used in litigation against Pokemon USA. This lawsuit was complicated, as Wizards of the Coast Inc. had the original license to produce Pokemon Trading Cards. However, Wizards of the Coast’s executives had moved to Nintendo, along with the license to make Pokemon Trading Cards. Nevertheless, Wizards of Coast retained what may have been its largest bargaining chip, the MtG patent, thus was able to settle the lawsuit out of court. Video games can be patented very similarly to traditional games, such as MtG or Monopoly. Every day we are moving closer to games played in virtual reality. As the technology is perfected, the companies that own the patents to controllers and systems which run virtual reality games will be able to control, and profit off, their manufacture. Further, a new console generation likely only a few years away, thus all signs point towards booming hardware sales. In addition to hardware, methods of generating microtransactions can be an important commodity to any video game company. Half of the money spent on video games is in the mobile gaming market. However, mobile games are significantly cheaper than the $60 AAA games sold on console, a large portion of mobile games are even free. Instead of relying on one-time sales, mobile game developers have mastered the strategy of micro-transactions to generate revenue. The idea being a consumer will pay to upgrade their account, be it cosmetically or advancement in the game. These methods of generating micro-transactions are patentable features and can be critical to a video games’ success. For example, let’s analyze a comparison between the monetary plans of EA’s Battlefront II and Epic Games’ Fortnite Battle Royale. Battlefront II sold at $60 and included the option to buy ‘loot boxes’ which when opened granted players a random competitive advantage or cosmetic in the game. On the other hand, Fortnite Battle Royale is a free game and allows players to purchase cosmetic items or a ‘battle pass,’ which unlocks items for the player through playing for specific amounts of time. Fortnite has become a global phenomenon and has profited over a billion dollars, while Battlefront II has been significantly behind their sales goals, and failed to reach the sales of its 2015 prequel. After Fortnite’s ‘battle pass’ proved to be an extremely successful method of generating micro-transactions, it was copied by a multitude of other game titles including Player Unknown’s Battlegrounds (PUBG) and Rocket League. Had Epic Games obtained patent protection on their method, they could have collected a pretty penny in license fees or other methods. With more money at stake, the patent spaces will crowd, making it harder to define inventions and obtain broad patent coverage. As always, it is advantageous to file a patent as soon as possible to beat the competition to filing. 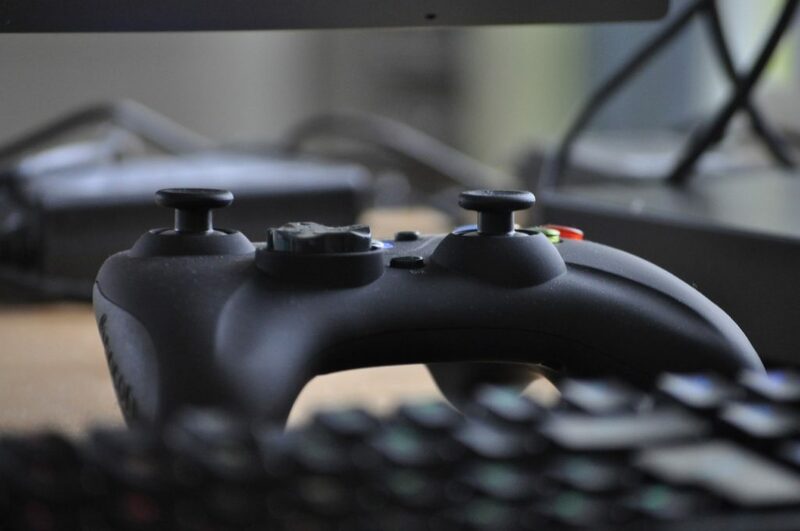 Identifying the emerging market of video games while noting how empty the patent space currently is, could be a huge advantage to any company beginning to develop video games or video game technology. Patented technology in the video game realm can help both big and small developers protect their novel ideas. Developers should consider patenting a wide variety of aspects of video games. Aspects which are both patentable and valuable is not always the first idea that comes to mind. WHIPgroup prosecutes and litigates computer and software-based patents and trademarks nationwide. Their experience in technology allows them to excel patenting these inventions while working in an efficient, tech-savvy environment.